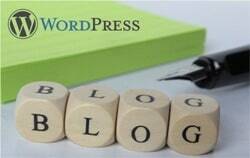 If you, as a blogger, received a comment on your blog, how would you feel if it was a really good one? Unfortunately, since many comments are spam nowadays, this is becoming a bit of a rarity. Spam is easy to recognise because it is badly written and consists of complete rubbish. Spammers don’t have a perfect recipe for writing comments. They just spew out their set message they want to get published, regardless of the post’s subject, and move on. It is because of this so many bloggers have closed their comments. Does this ruin it for both commenters and bloggers alike? Yes, it does. However, if more real commenters knew the perfect recipe for writing comments other bloggers would love to receive, their comments would stick out like sore thumbs (in a good way!). It wouldn’t put the spammers to shame (they don’t care), but any blogger would welcome an excellent and well written comment on their blog. It is a sign of appreciation, a vote of confidence, a recognised approval, that someone has read and enjoyed their post. So I would like to share with you that perfect recipe for writing comments, so that you can make another blogger happy. Which can only be a good thing! TV chefs or cooks always have their ingredients carefully prepared in little bowls before they start cooking. We usually don’t get to see the chopping and weighing, because that takes up valuable viewing time during the programme. And I’m afraid for you there is also this invisible preparation if you want your perfect recipe for writing comments to work. Commenting isn’t something you can really do in 5 minutes in between projects. You need to allocate a reasonable slot in your daily schedule to put in some serious commenting focus. It’s so important to thoroughly read the post you are commenting on. In fact, read it twice to make sure you fully understand everything and you haven’t missed anything vital. You can always spot the commenter who hasn’t bothered to read the post properly. Click here to tweet! Next find out the blogger’s name, and if you have time, read some of their other posts to get a flavour of what they are interested in writing about. Then read the other comments if there are any. This will prevent you from repeating what has already been said. Also work out what has been missed, or any issues that haven’t been addressed, to make your comment more valuable. A computer, tablet or smartphone. Broadband connection. Fingers to type with! Ideally you should be fairly literate, as this will set you apart from spammers and amateur bloggers. This increases the chance of your comment being published. Spam comments are usually full of bad English or horrific spelling, which tends to get caught by the moderation software. Therefore you need to spend as much care commenting as you would writing a blog post. Additionally the commenting skills you develop on blogs can be extended onto when you comment on social media (more about this at the end of the post). How much time you spend writing your comment will depend upon what you have to say. But beware, comments are not meant to be as long as the post they are attributed to. You don’t want to upstage the blogger, just to contribute to what has been said. Then you need to put aside enough time to fill in your details when your submit your comment. Every comment requires a name and email. Including your blog’s URL will provide an acceptable link back to your blog, which other readers can use to find out what else you have written. Because of spam, many blogs have in place systems that sort out robotic from human commenters. Unfortunately this doesn’t deter human spammers, and it can also put off real commenters. But it is worth coping with a CAPTCHA (if you can) or logging in to Disqus or a social media profile to confirm a secure connection before you publish your comment. A tip if you are using a device that isn’t your computer: copy your comment content before you attempt to get through the spam gates and hit the submit button. If anything goes wrong, you can repaste your comment again, and all your hard work won’t be in vain. Copy your comment before submitting it, just in case the blog freezes and your comment is lost. Click here to tweet! Commenting not only allows you to get something off your chest, express a desire to communicate or show your appreciation, it can make a difference in other ways too. If you are able to follow my perfect recipe for writing comments properly, you will attract the attention of the blog post’s author, as well as the other commenters and readers. If you manage to create a good impression, and repeatedly offer worthy comments, you will be welcomed again as an expert commenter. 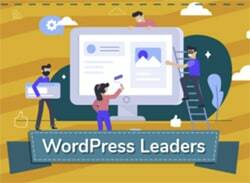 This recognition, for the right reasons, will result in forming a relationship with like-minded bloggers in your niche, industry or interested subjects. And this relationship could develop into building blogging and commenting communities, in which you could learn information, exchange ideas, get offered opportunities and set some long-lasting friendships and/or partnerships that could enhance your life or career. These communities also comment on each others’ blogs, which helps attract the attention of the search engines. Such popularity provides social proof the internet spiders cannot resist, as they deem blogs with a lot of interaction must contain first class content that is worth indexing. First, greet the blog author by name. That will draw attention to you in a favourable light, and shows you have taken the trouble to find out who they are. Next, validate the subject in a brief, succinct sentence. This will show you have read and properly understood the post. Finally we have arrived at the main crux of the perfect recipe for writing comments: writing the main content of your comment. Try to write at least three sentences. Avoid one-liners, even if you think you’re being clever or witty. The spam eaters won’t see it that way. You need to provide some decent meat (and two veg) in your comments. 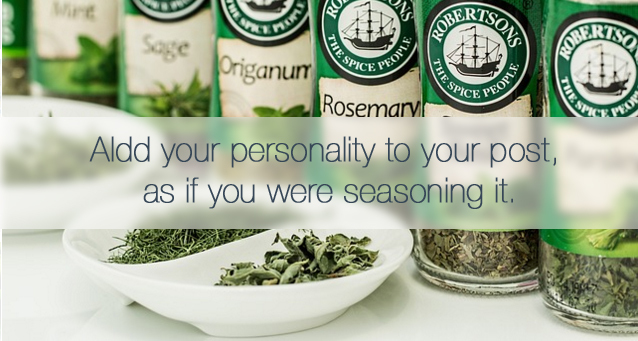 Remember to incorporate your personality to your comment, as if you were adding seasoning! 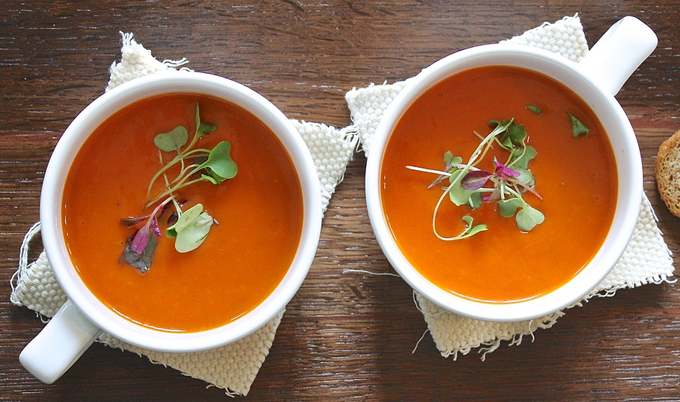 Every perfect recipe benefits from adding something special. Imagine having a conversation with the post’s author. This will help make your response easier to write and be read in return. Avoid adding additional links into your comment. This is exactly what spammers do. The link created from your blog’s URL when you submit your comment is adequate. Extra links may aggravate the comment moderators and spam eaters and prevent your comment from being published. Finally quickly summarise what you have said in the comment by drawing attention back to the bigger picture or main subject of the post. After you’ve added all the ingredients of this perfect recipe, read through your comment to make sure it makes sense, you haven’t missed out anything vital, it is totally relevant to the post’s subject, and there isn’t anything in there that would upset the post’s author. Take a deep breath, and submit (publish) your comment. You’ll find your comment will more than likely be placed in a moderation queue. Although this may deflate your anticipation of seeing your hard-earned comment paraded in front of you, this should draw attention for the need to write first class comments that will pass this stringent test. It’s important your comment is perfect if you want to pass the stringent spam moderation tests. Click here to tweet! After a little while, return to the blog in question to see if your comment has been accepted, and an answer provided. If so, respond if applicable. This is a great way of keeping the commenting momentum alive and even creating a lively discussion within the commenting area. This kind of activity may draw the attention of other readers, who may be impelled to write a comment themselves. Just because this sort of thing happens naturally on social media, enhanced because of the immediate responses times, there is no reason why a more sedate version shouldn’t also happen on a blog. 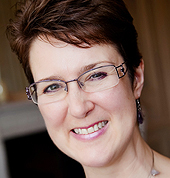 Why not contact the post’s author on social media and tell them you have commented on their post? Not only will this alert them to the fact there is a comment waiting to be approved, your friendly action may help continue the conversation on to many levels, either on social media or the blog. I have mentioned before about developing your commenting skills on other social platforms rather than blogs. You will have to adapt your commenting style, of course, depending upon which social network you are using, and who you are talking to. The ingredients in my perfect recipe for writing comments will still be useful here. If you make a concerted effort to comment well on all social networks, you can and will raise your reputation and find yourself included in more conversational interaction in the future. 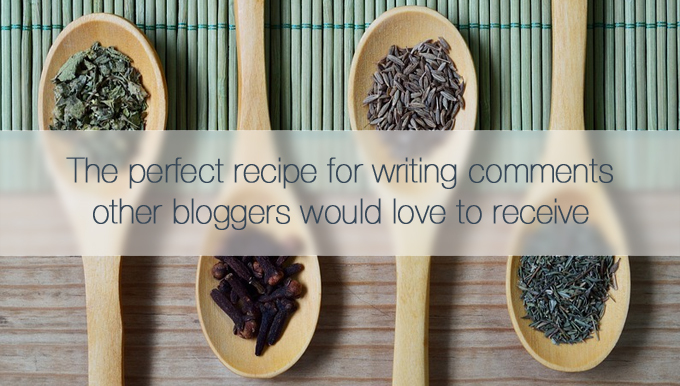 Want to know more about the perfect recipe for writing comments? You could either check out my 40 Day Challenge to Blogging Mastery or become a member of The Commenting Club. Refine your blog commenting prowess at a leisurely pace with plenty of time to practice your new skills on blogs and social media worldwide! Hi Alice! This post is such an important public service announcement — in fact, I’m going to take your advice about not commenting in anger and apply it for all future Facebook interactions with people on the other side of the US election outcome. Also, it’s lovely to see someone hammering home the importance of grammar and spelling! If you can’t write well, your message doesn’t seem as credible. Thank you Emily for commenting! Yes, it is always wise to take a step back before publishing something written in the heat of the moment. Trump is a prime case of speaking before thinking, and then people regret what he said. (Or perhaps he doesn’t!) Expressing yourself well is just as important as good spelling and grammar, both will make what you say more credible and believable.